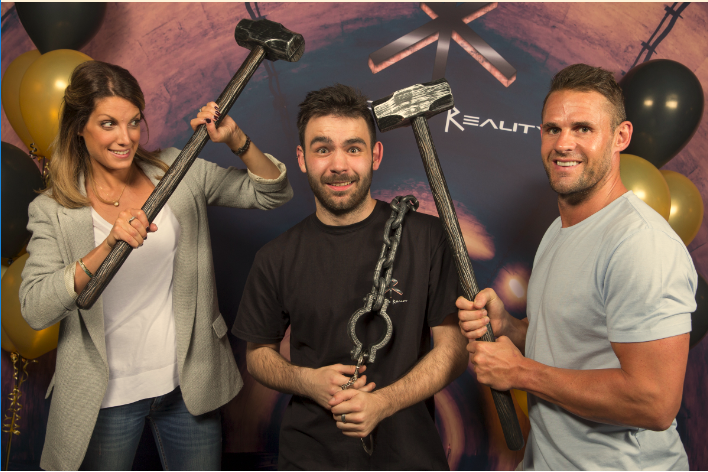 Fantastically frustrating, Cardiff’s new Escape Reality game really tests your brain. Admittedly #TeamCardiffTimes chose the hardest room at the launch, a mock miniature of the Parisian Louvre that makes you really take a look at Da Vinci’s best known and suddenly eerie works of art. Embarrassingly we didn’t get past the second room, possibly the result of a group of journalists painstakingly trying to figure out very maths-based puzzles. But even so, the hour we spent in the mysterious torch lit maze with black lights and an unnerving dummy corpse went by in what felt like a minute. With challenges that are far from patronising – at times confounding when even the ‘Solution’ button doesn’t even help you out – this new company really knows how to make you think. The ‘Hints’ are a little unhelpful at times, earnestly providing you with information you’ve already gleaned from a glance around the room, but the staff are more than willing to come and lend you a hand once you desperately flash the lights. The storyline could have been made more of before entering the museum-based Fibonacci room, but truly the puzzles take up enough of your brain space that the homicide detective narrative fades into the background enough that that doesn’t matter. Tucked away on St John’s Street, Escape Reality’s building is subtly gothic both inside and out. With fake skulls scattered around the bar area and props available for team photos you really sink into the aesthetic of the place (and the bar does help to soothe the more infuriated players). Having this kind of social area means you can really make a night of it even if only playing one game. And if other players only get as far as we did then more than one visit may be called for – and the bar staff will make you feel welcome every time. With branches of this new company opening across the UK and further abroad, Cardiff is the first – beating even Las Vegas to the punch. I can’t wait to see what the extravagant Nevada strip does with this premise, escalating the décor and challenges to the glitzy heights of the party capital of the world. But having said that the puzzles and themes of this Cardiff branch are so universal that they’d fit in anywhere. 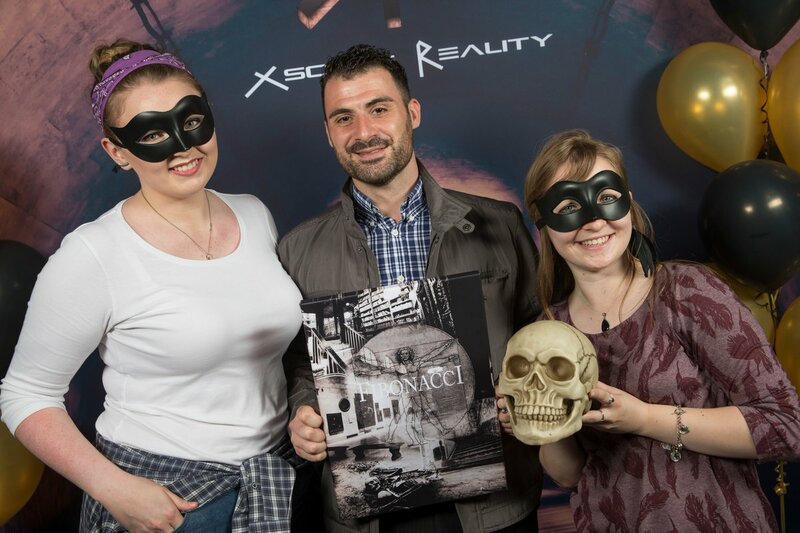 A great team-building exercise for colleagues and friendship groups, Escape Reality is best experienced in a mixed group; even if you come in a pair and join a group of strangers there’s very little danger of small talk when there’s a prosthetic corpse in the corner. This is even an original date idea, although I would seriously recommend bringing a date with at least an A Level in maths (if not a PhD). I’d like to see a few more puzzles based on language or word play, though perhaps we would’ve reached those if we’d gotten further. But nevertheless this is a fantastic and original night out for all ages – as long as you don’t mind leaving with at least a baffled headache.